Ultrasound is the process of heating up damaged or inflamed tissue in a small area, stimulating circulation, and promoting healing. By heating an area, the tissue becomes more pliable, which allows for an increase in stretch. 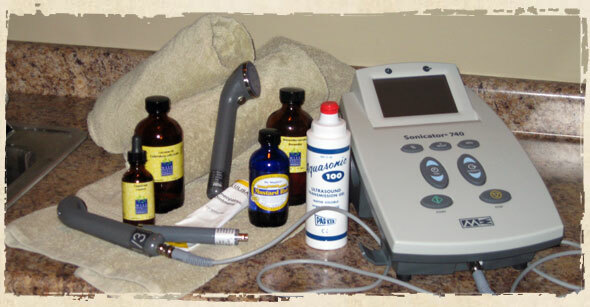 Ultrasound is used in muscle spasms and to assist in breaking up scar tissue.